The third panel discussion featured Brian Clark of GMD Studios as moderator, Patrick Moeller (ARGReporter, vm-people GmbH), Alexander Serrano (vm-people GmbH), and Genevieve Cardin (Baroblik communication et multimedia). The panel discussed the blossoming ARG market in countries that have yet to enjoy the wonders of Fried Oreos. The discussion started with a brief history of the alternate gaming market in Germany, from its humble beginnings as a student project about the World Cup to the present day, with three grassroots projects running concurrently, and commercial ARGs both international and domestic targeting the country. Cardin noted her experiences entering a market she didn’t even know existed through her multi-lingual games. Often, the developers noted, the decision to go International is more of a matter of budget than that of language barrier concerns. The panelists noted a few differences in play styles. For instance, the media involved for projects with target audiences with limited access to flat-rate internet service plans need to be adjusted accordingly. Additionally, the popularity of devices with GPS capabilities has led to the popularity of geo-caching in Germany. Creating international ARGs as opposed to region-based games may present its own difficulties. A member of the audience noted that creating games spanning more than one language requires highly skilled translators, since they must create adaptations of the game that take into account its subtle nuances. Furthermore, navigating the international legal quagmires may mean a significant amount of time is spent talking with lawyers. The challenge of finding people in other locations also becomes grander on the global stage. Despite these challenges and difficulties, International and region-based alternate reality games in countries outside the country are becoming increasingly popular. In some countries, it is even possible to secure government funding to assist in developing ARGs as an art form. The growing Alternate Reality Gaming community means a broader audience is exposed to the genre. 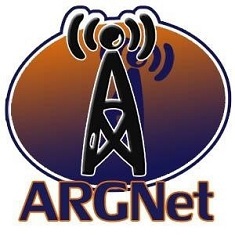 With exciting new projects by foreign developers worldwide and with news websites such as ARGReporter and ARGFan reporting on ARG news in German and Japanese respectively, English-language fans may not have the monopoly on fun for very much longer. We are, after all, grossly outnumbered. Mimoza just finished its second ARG in Hungary, Leona. UPCity was the first.